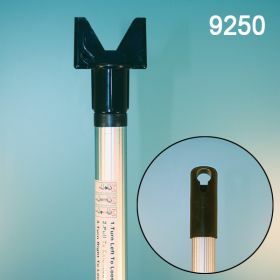 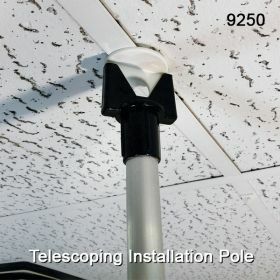 Our ceiling sign holder installation pole is an easy to use way to hang signs from the ceiling by enabling the attachment of our ceiling hooks and loops to your ceiling grids and then adding chains, c-hooks or other assemblies.Item #9250 extends to 10', and Item #9260 is an 18' version if needed. 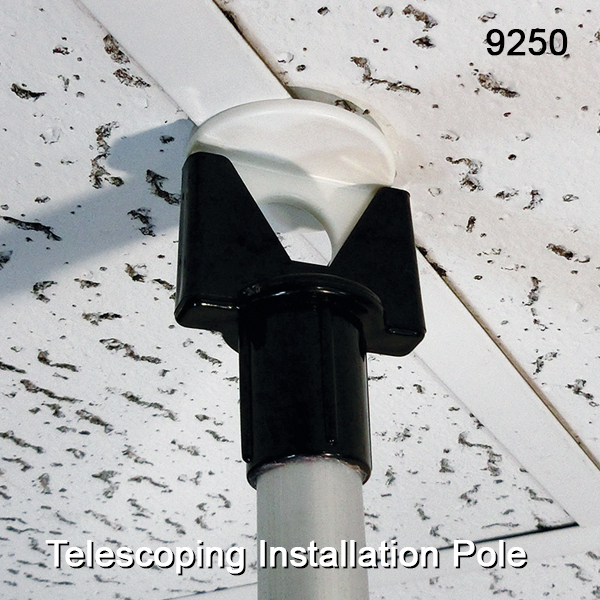 We always recommend having help when working with the ceiling or up above higher than 4-5 feet. 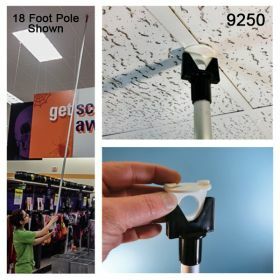 If you are using a ladder to assist with sign hanging at retail, a warehouse or any business service enterprise, it is impertaive you stabilize the foot of the ladder with another person or the proper equipment.